Did you know? Nearly half of the average retailer’s sales for the year occur in November and December. That same amount of consumers actually start their holiday shopping before Halloween, however. Is your company’s website ready to handle the extra load? Now is the time to ensure that everything is in place to attract the maximum amount of holiday shopping traffic and the maximum amount of sales. These suggestions will help do both! The holiday season is a great time to offer something special to all your website visitors. Then again, you may just want to limit specials to loyal customers or anyone who becomes a subscriber to your site. This is the perfect opportunity to build your mailing list! After you’ve decided who will be able to take advantage of your special holiday offer, now it’s time to come up with something that converts more visitors to buyers. Of course, the best type of promotion for your business depends on the type of services or products you sell (along with price point) but even more importantly, the demographics and buying behavior of your target market. Some promotions, such as free shipping, are great when you sell products of a certain size and weight. However, if your business is all about providing a service, say haircuts or catering, offering a discount will work much better. You may want to try more than one promotion and split test them to see which one converts more customers in your business. Then again, you may want to spike sales simply by offering something free to every customer. There are few things that inspire purchases more than a freebie – especially during the holiday season when consumers try to get the most for their money. Before you think that you simply can’t afford to give away something for free, consider that the value of the freebie is subjective. It could cost you little to nothing to produce an incentive, but if your customers perceive its value to be high, it will be a very potent incentive. An inexpensive option is to buy a small item in bulk. Places like Oriental Trading Company always feature lots of seasonal gadgets for a very low price. For a very budget-friendly holiday promotion, consider working with a joint venture partner. Working together makes it cheaper for each of you to provide a free giveaway and it also allows the two of you to share database lists. A marketing email or newsletter can be sent to the combined list at no cost! You will reach new customers and so will your partner, expanding the reach for both of you. You can provide something of interest to a non-competing company’s customers and ask them to reciprocate. For instance, if you own a book store, try partnering with an electronics store. You could provide a free eBook; the electronics store could offer a free book light or discount on a digital reader. This helps capture additional sales and market share since avid readers tend to buy both electronic and print books. This works well with services, too. The owner of a spa or nail salon can partner with a tanning salon to offer a combination package that gets customers ready for holiday parties. If you offer catering, contact party rental companies to find one that is willing to promote your services to walk-in clientele. Why not go in together on a media-buying campaign and create a new landing page to market your newly crafted holiday package? The ability to form partnerships with non-competing businesses offers nearly endless possibilities – and makes promotions, marketing and advertising much less expensive. For best success, be sure that you develop your holiday promotion well in advance. You may want to create a marketing spreadsheet that helps you keep track of what tasks need to be completed when. The best and easiest way to get out the word about your holiday specials is via a series of email messages to your list. Build up anticipation by starting now with a message that hints about the great deals your customers can take advantage of within the next month or so. When you reveal your holiday special, make it a limited-time offer to evoke a sense of urgency that helps increase sales immediately. This also helps you stay ahead of the last-minute holiday rush. Be sure to include links that make it easy for email recipients to share the offer with friends and family members. 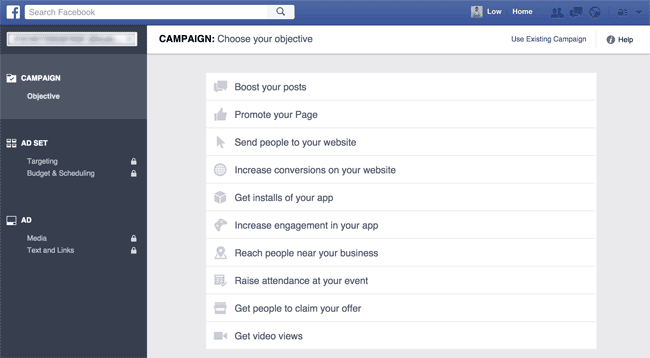 If the holidays are big in your business, this is the perfect time to start a Facebook ads campaign. It’s worth the extra money in order to drive lots of traffic to your site. Of course, making sure your website looks holiday-ready is an essential way to promote your offers. There are few times when it is more important to visually capture attention than during the holiday season, when so many retailers are bombarding the internet with images of all the things consumers need and want. A simple written description of your items just won’t do; you need to add vibrant graphics that will make people want to stop, stay and buy from your site. Start by updating your website’s design with a holiday theme. A new header is appropriate for most businesses. If you are offering any kind of special for the holidays, such as free shopping or a gift with every purchase, this needs its own graphic image, as well. Don’t forget your social media sites, either. A customized header for your Twitter and Facebook pages that goes along with your website’s special holiday theme is a good way to integrate your brand. There are plenty of places to find images online. Flickr, Google Images and Shutterstock are three popular sites where you can simply search for a key term, such as “Christmas wreath on a door”, and find lots of relevant results. Flickr and Shutterstock require you pay a small fee for using the images. Google simply compiles a list of possibilities from other websites but do be careful about copyright laws. You must pay a royalty fee to use most images on your website – or you can change the image to a degree that it couldn’t be identified as the original. Of course, if you know your way around an image editing software program such as Adobe Photoshop or even Paint, you could create your own graphics. Not confident in your graphics art abilities? Head on over to fiverr.com where you can order nearly any type of custom image for $5. It doesn’t matter what you do to attract additional visitors if your website doesn’t allow them to effortlessly make a purchase. While you are ramping up the graphics on your website, take the time to closely examine the backend of your online shopping cart. Make sure it is ready and able to handle all the increased traffic you are expecting as a result of your holiday promotions. You may need to upgrade your plan to accommodate additional products, shipping options and customers. This is also an excellent time to add related items to help increase sales. Go over your product list with a fine-toothed comb to ensure descriptions are accurate and up-to-date as well as adding related items and popular items. Think of how Amazon does this with “Customers who purchased this item also purchased this one.” It’s a proven method to increase the amount of each sale. You may also want to enlist a close friend or family member to make a purchase that you can refund or cancel on the backend. The idea is to have them go through the entire process of buying a product or service on your site and then provide feedback on how simple or difficult the process was. This is a good way to identify any potential roadblocks and get them fixed now, before the holiday rush arrives on your site. To ensure top performance, please make sure your website is running on a quality web host. For WordPress sites, I encourage you to check out the 9 best managed WordPress hosting. The time to prepare your business website for the holidays is right now! 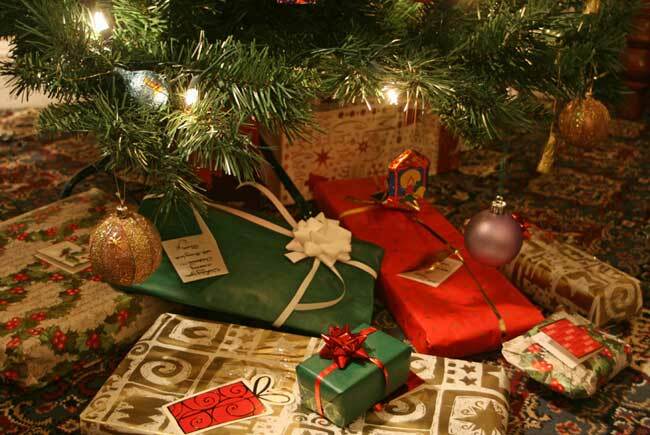 Some shoppers will even be whittling down their holiday gift list as you are reading this. Come up with this year’s holiday promotion. Decide what special giveaways you will use to entice visitors to become customers. Find a joint venture partner to expand your marketing reach. Start working on a holiday marketing plan. Ramp up the graphics on your website. Make sure your shopping cart is ready and able to take on increased traffic and sales. Are there additional tasks you can add to this list? What specific holiday promotions have worked best for your company? We’d love to hear your thoughts and suggestions.